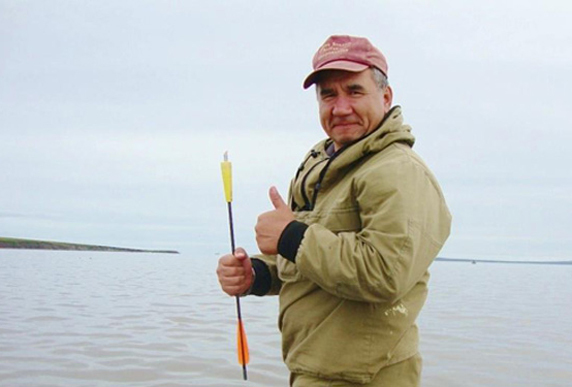 Eduard Zdor, director of the Chukotka Association of Traditional Marine Mammal Hunters, dedicates his life to protecting Arctic marine mammals sacred to the Chukotka. Eduard Zdor protects walruses threatened by climate change and connects indigenous youth with their cultural traditions. Scientists and indigenous peoples noticed a disturbing trend among walrus populations in Chukotka in Russia’s far northeastern corner. During the summer, melting sea ice, caused by climate change, forced walruses to gather onto ever smaller beaches on shore. Eduard Zdor, director of the Chukotka Association of Traditional Marine Mammal Hunters, has spent his life working to protect the interests and practices of traditional mammal hunters in Chukotka and he was alarmed by what he saw. Thousands of walruses hauled out on beaches, some of them dying, it appears, because diseases spread more easily from tightly packed walrus to walrus while large numbers of baby walruses were crushed to death in stampedes of walruses trying to escape polar bears and other perceived threats. 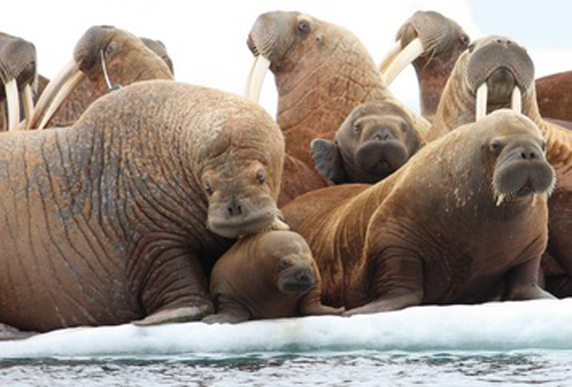 The walrus is a significant animal for coastal Chukchi. It determines how successful the autumn hunt will be, and the community’s survival and well-being during the long cold Arctic winter depend on walrus fat. For that reason, indigenous Chukotkans consider onshore walrus rookeries sacred. So Eduard created the “Protectors of Rookeries” project that taught indigenous youth to appreciate the marine mammals that long fed their communities by collecting scientific data on the walrus haul-outs. Experienced local hunters hired youth to accompany them to walruses gathered on beaches to count the animals and record their behavior. Then they passed the information along to scientists and other experts who incorporated it into their own recommendations to protect important walrus habitats throughout the Arctic. A colony of Pacific walrus. Like many Arctic mammals, climate change and melting sea ice are contributing to the decline of their population. Through the project, indigenous youth learned about the animals, their habits and habitats, and their value as a subsistence resource, while scientists received up-to-date walrus data from experienced hunters. Eduard’s project also helped connect Chukotka communities with similar efforts in Alaska and elsewhere, integrating them into a larger global movement to protect the Arctic. The “Protectors of Rookeries” project was made possible by Pacific Environment’s direct support to our partner Eduard Zdor and the Association of Traditional Marine Mammal Hunters of Chukotka.